In the 2000s, as globalization continued apace and social dimensions began to be re-introduced in the face of the sometimes catastrophic impacts of wide-ranging economic liberalization, UNRISD criticized a narrow social policy focus on safety nets and the targeting of vulnerable groups, arguing instead in favour of transformative social policy. From 1996 to 2005, UNRISD produced a total of 69 books (external publishers, co-published and in-house) and 286 papers (chapters in books, journal articles and in-house). The print-run for this period was an accumulative of 345,000 for in-house publications including monographs, papers, reports, newsletters and briefs. UNRISD. 2010. Combating Poverty and Inequality: Structural Change, Social Policy and Politics. UNRISD, Geneva. The publication, with a foreword by Ban Ki-Moon, argues that many current approaches to reducing poverty and inequality fail to consider key institutional, policy and political dimensions that may be both causes of poverty and inequality, and obstacles to their reduction. Moreover, when a substantial proportion of a country’s population is poor, it makes little sense to detach poverty from the dynamics of development. For countries that have developed successfully, the report shows, progress has occurred principally through state-directed strategies that combine economic development objectives with active social policies and forms of politics that elevate the interests of the poor in public policy. UNRISD. 2005. Gender Equality: Striving for Justice in an Unequal World. UNRISD. Geneva. A contribution to the Fourth World Conference on Women, the primary focus of the report is on the economic and political reforms of the 1990s. The reforms reflect mixed results for gender equality and the advancement of women. As a result, the report calls for significant changes to current development practices (especially economic expansion, social programs, democratic processes and structural transformation). Overall, the UNRISD report on gender inequality is a road map documenting how far countries have come in addressing gender inequality, what policies and procedures are currently in place and where we still need to go to make gender equality a reality. The publication discusses issues of social justice and cohesion in an increasingly individualistic world. It argues that too much confidence in the invisible hand of unregulated markets has been matched by too little understanding of the necessary relation between public policy and development. Efficient markets require the contributions of a well-run public sector to create, for example, a healthy, well-educated and well-informed population as well as the social stability that grows out of democratic governance and an acceptable level of public provision. UNRISD. 1995. States of Disarray: The Social Effects of Globalization. UNRISD, Geneva. Compiled for the World Summit for Social Development, this flagship report provides a comprehensive analysis of some of the world’s major social challenges of the time. Part I discusses the momentous changes associated with globalization that radically altered the scale and nature of social problems. Part II explores the linkages between globalization and key social issues such as migration, crime, drugs, ethnic conflict and the reconstruction of war-torn societies. Part III examines the impact of globalization on institutions at local, national and international levels, and suggests a path of institutional reform to guide the process of globalization in a more cohesive direction. As part of the celebrations of its 50th anniversary, UNRISD co-hosted a conference with the ILO (International Labour Organisation) in 2013 entitled “The Potential and Limits of the Social and Solidarity Economy”. The conference featured prominent speakers such as Guy Ryder, Jose Luis Coraggio, Paul Singer and Sarah Cook. Over 40 academics presented research findings to about 400 participants. 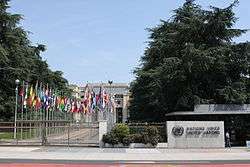 There were several side events including a PhD poster session, book presentations, a practitioners’ forum, movie screenings and a special session on alternative finance and complementary currencies hosted by the UN-NGLS. In response to the global financial crisis, UNRISD held an international conference in 2009 called "Social and Political Dimensions of the Global Crisis: Implications for Developing Countries". Speakers focused on examples from low- and middle-income countries such as Chile, China, South Africa, and Thailand and the strategies of their citizens and governments to cope with the financial crisis. The conference aimed to generate new ways of thinking about what it means to live in uncertain times. From this, new agendas for research, policy and practical action can emerge, leading ultimately to policies and institutional arrangements which provide greater resilience for individuals, communities and nations. Communication of the research findings has proven to be a key component in strengthening the ultimate purpose and impact of UNRISD activities as well as increasing recognition and use of UNRISD research in the UN system, donor communities, academia and civil society. UNRISD is currently engaged on Linkedin, Scribd, Facebook and Twitter; on the last of these it has recently reached 20,000 followers. UNRISD also produces multimedia material as a means of making seminars and conferences available through online videos and podcasts. 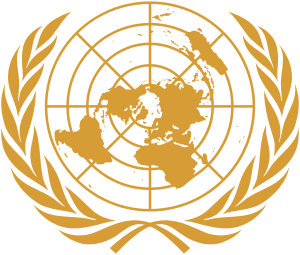 UNRISD is overseen by a Board, headed by a Chairperson who is appointed by the UN Secretary-General. The ten Board members are selected based on their expertise and qualifications, and membership is confirmed by the UN Economic and Social Council (ECOSOC). Board members participate in their individual capacity and do not represent UN member states. The Board reports to the Commission for Social Development biennially. 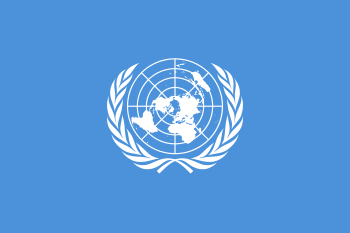 The following governments have contributed to UNRISD over the past 50 years: Australia, Austria, Canada, Cuba, Cyprus, Denmark, Finland, France, Germany, Hungary, Iran, Iraq, Italy, Jamaica, Mexico, the Netherlands, Nicaragua, Norway, Sweden, Switzerland, the United Kingdom, the United States of America and Yugoslavia. ↑ SIDA Evaluation 06/46 "Too good to be true? UNRISD 1996–2005", accessed 3 December 2013: "Archived copy". Archived from the original on December 8, 2013. Retrieved December 3, 2013.